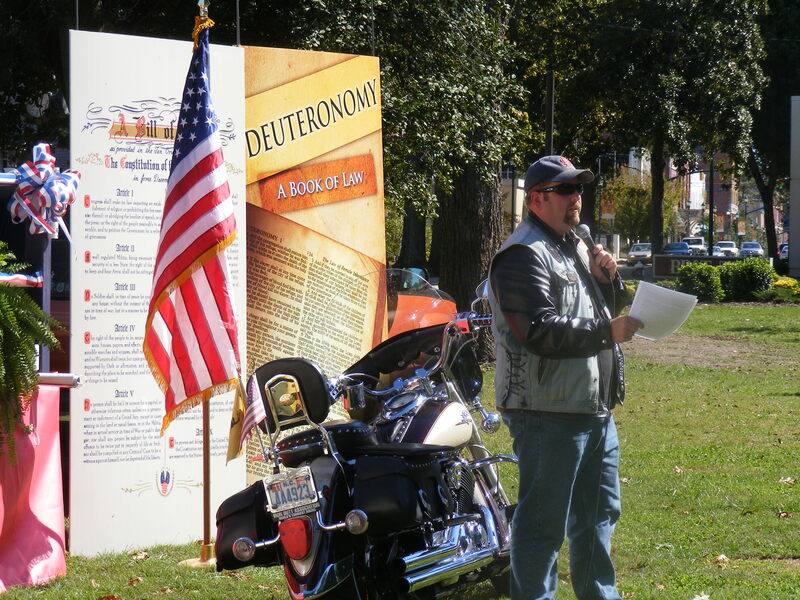 It is a great honor to have been asked to speak at this rally. I want to thank Joel and everyone responsible for putting this event together. I also want to say it is risky to ask a Southern Baptist pastor to limit his remarks to 7 minutes. We usually cannot get through an introduction in seven minutes! The title of my talk is The Christian and Civic Engagement. It seems to me that those who claim to be followers of Christ have differing opinions about the right relationship Christ-followers should have toward addressing issues of public concern. Or, to say it more clearly, there is some disagreement among believers about this thing we call politics. At its heart, politics is the legislative enacting of a worldview. Make no mistake about that. Every political issue, every piece of legislation, every political philosophy is driven by a worldview.Because the political process is about enacting legislation in support of a worldview, Christians must be engaged in the process. Nearly 40 years ago Francis Schaeffer warned American evangelicals that the winner of the worldview war would determine the kind of government we would submit to. In How Should We Then Live? 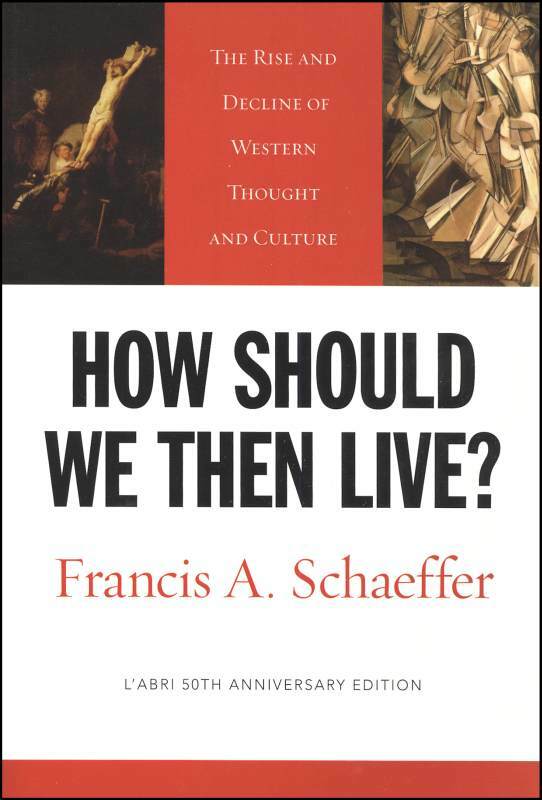 (1976) Schaeffer’s central premise is that when we base society on the Bible, on the infinite-personal God who is there and has spoken, that premise provides an absolute by which we can conduct our lives and by which we can judge society. He contrasted that Christian worldview with a humanistic worldview. Schaeffer defined humanism as “a value system rooted in the belief that man is his own measure, that man is autonomous, totally independent”.Schaeffer argued that when we base society on humanism, all values are relative and we have no way to distinguish right from wrong except for utilitarianism. Essentially, the primary guide for determining right and wrong is determined by that which provides the greatest happiness of the greatest number of people. When a society bases its political and philosophical foundation on humanism, the member of that society disagree on what is best, and that devolves into a value system that is based on Personal Peace (the desire to be personally unaffected by the world’s problems) and Affluence (an increasing personal income.) Chillingly, Schaeffer warned that when we live by these values we will be tempted to sacrifice our freedoms in exchange for an authoritarian government who will provide the relative values. That, my friends, is precisely what we see happening in our culture today. Whether it is euphoria over Obamaphones, the promotion of Food Stamp parties, or the systematic limitation of religious liberty through Obamacare, the only thing that seems to matter in our political culture is the greatest happiness of the greatest number of people. This is the water in which our culture is swimming. I mention all of this because we need to understand that if we focus on the symptoms, we will lose this battle. If we are going to engage this battle, we have to understand that it is a philosophical and spiritual battle. And, that battle cannot be won apart from the work of the Holy Spirit. I’d like to explore the question: How Should We Then Live when it comes to political and civic engagement? Some say that Christians ought to withdraw from the political process. This view would have us to believe that the church and Christians should have no role in secular government. These believers would say that we should focus our attention on the gospel and not get mixed up in politics. That God will take care of everything and we don’t need to be involved. Others, particularly on the left, would cry “separation of church and state” and wish that believers would, in fact, retire to our prayer chambers and leave the work of governing to them. Still others – and these are the saddest of all to me – do not see that our Christian convictions have any bearing on our political views. These are the folks that would like to read and believe the Bible when it speaks of God’s forgiveness and salvation, but are not as comfortable when God defines marriage or calls the sacrificing children on the altar of self murder or calls Israel the people of God and promises blessing to those who will befriend her. Live such good lives that our good deeds silence their false accusations. In doing these things, we bring glory to God. This, I believe, should be the disposition of believers today – make the society you are a part of better because of your presence. Add value to the land of your habitation. Seek the benefit and prosperity of the land in which you are an alien and stranger. And, as the culture is blessed, you too will be blessed. Sitting on the sidelines is not an option. Being marginalized because of our faith is not an option. No, rather, engaging in the process seeking the peace and prosperity of our nation is our only option. As we do, we must recognize that we are in a spiritual and philosophical battle and that, ultimately, victory is not found in ballots or elections, but in the spiritual transformation of a nation through the power of Jesus Christ. May God bless you as you seek Him. And, may God bless America. We are having a mutli-faith gathering on Saturday Oct 20th at 5pm in downtown Raleigh (Halifax Mall site) to “STAND UP” for Religious Freedom & against the HHS Mandate! So would love you all to be aware and share our Facebook even page which has more details & a Flier . Thanks & Have a blessed day!